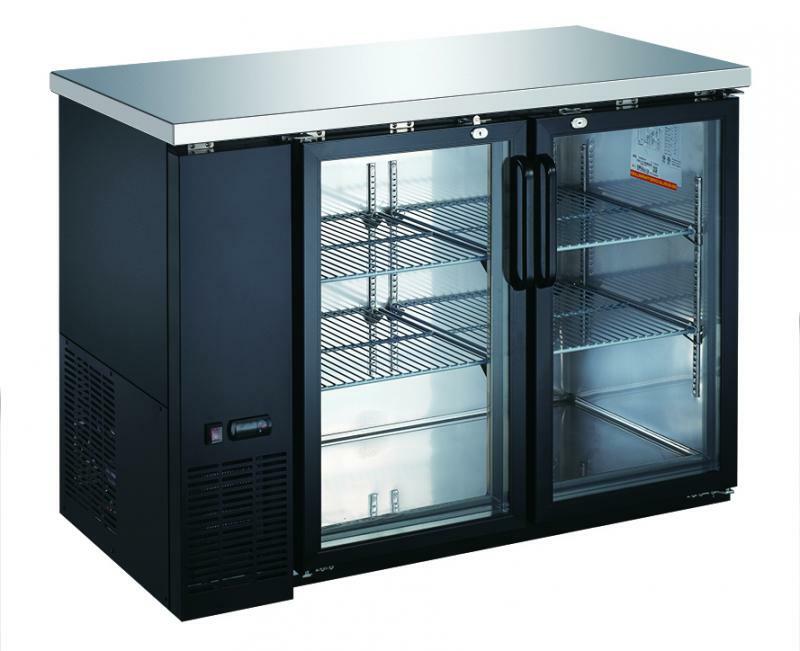 Perfect for any restaurant and/or bar, the heavy duty glass door bottle coolers are designed with enduring quality and value. The exterior comprises of heavy-duty wear resistant black coating paint. 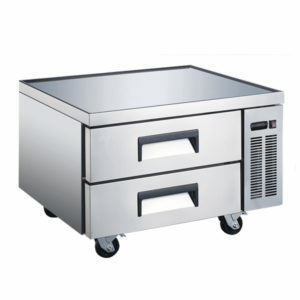 All stainless steel 304 counter top and stainless steel interior with 304 floor and side. 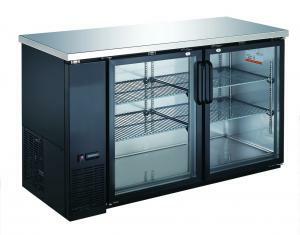 NSF-7 approved for packaged and bottle product and comes with LED lights.